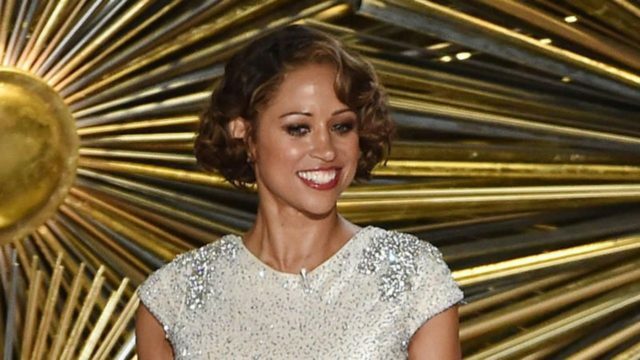 Actress Stacey Dash recounted for #WalkAway demonstrators gathered in the Washinton, DC, rain Saturday the backlash from her turn away from the Democrat Party under then-President Barack Obama. “Make America great again!” she declared to the crowd. Dash spoke to the hundreds gathered from a remote location, but was broadcast live on a giant screen at the rally. “Thank god for Brandon Straka for unifying us,” she said of the #WalkAway organizer. “it’s about our principles,” she told them, adding, “what better president do we have than Mr. Donald Trump?” She described president Trump as a man who doesn’t define people by the color of their skin. “We’re asking you to walk away so you can be free,” she told the crowd. “I just talked to a bunch of youth who are going to keep America great,” Dash said of her speech at the Young Black Leadership Summit. “Have the courage to stand and understand this fear mongering is not going to wor … they’re not going to bully us,” she told the crowd. Dash is a black American actress who has spoken out publicly on coming out as a Republican and the personal and professional retribution she faced for it. In 1995 she starred in the cult classic movie Clueless as Dionne. She is also the author of There Goes My Social Life: From Clueless to Conservative.